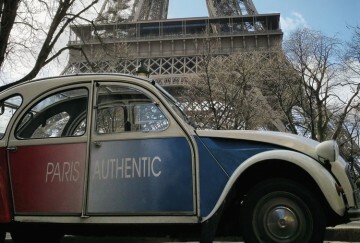 Driving a 2CV has a retro charm. In the modern Paris environment, it conveys an impression of time travel. Have a drive with this mythic car in a wonderful museum-city to enjoy its original sensations. Indeed, the 2CV is not only a legend. It is also a special way of driving, engin noises, convertible top… and road privileges that you do not have when you drive a modern car. Are you up for the experience? This formula is for you. Car retrieved and left at our parking, rue du chevaleret.